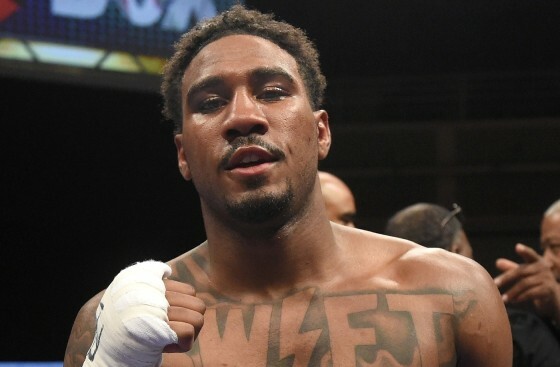 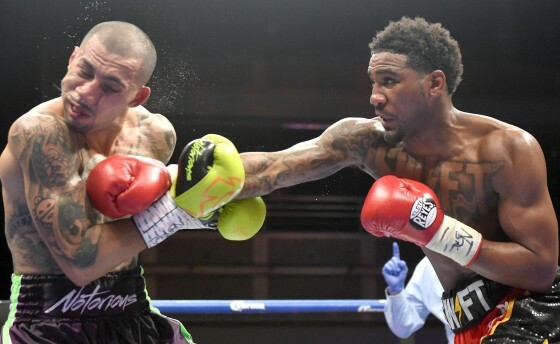 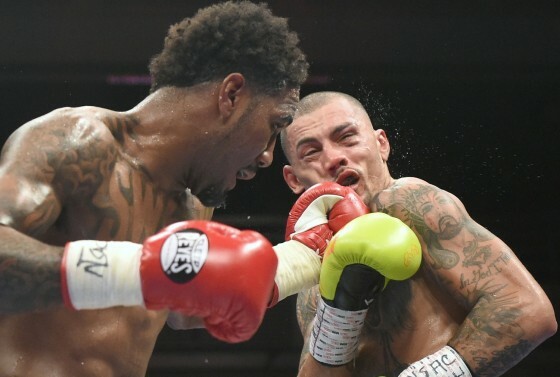 On Saturday night in Las Vegas, a promising star introduced himself to the boxing world as Maryland’s Jarrett Hurd (17-0, 11 KO’s) stopped previously undefeated Frank Galarza (17-1-2, 11 KO’s) in the sixth round. 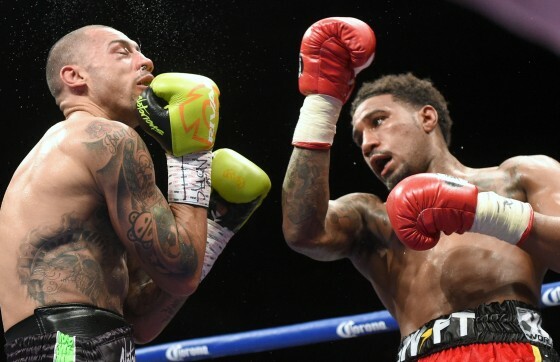 The bout took place on ShoBox: The New Generation and Hurd didn’t disappoint. 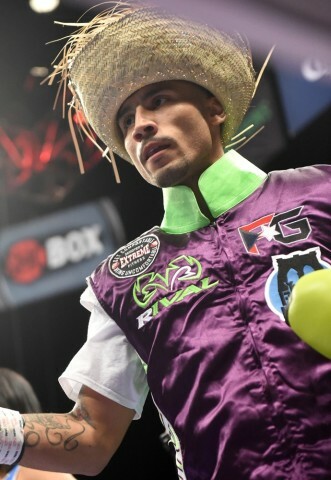 From the opening bell he was in full control of the contest, picking apart an onrushing Galarza. 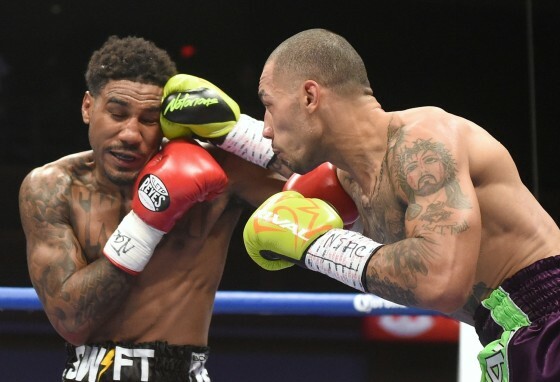 A right uppercut produced a knockdown in the fourth round and the bout was halted in the sixth when Galarza turned his back after taking too much punishment for his liking. 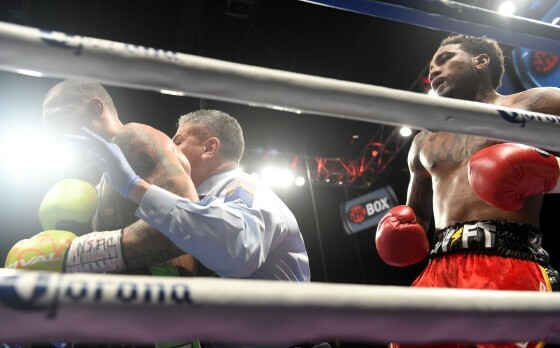 Check below for a closer look at Hurd’s triumph.